There are six hierarchical levels of anatomy and physiology. ATOMS - What's the MATTER? All matter in the universe as we know it, is made up of atoms. 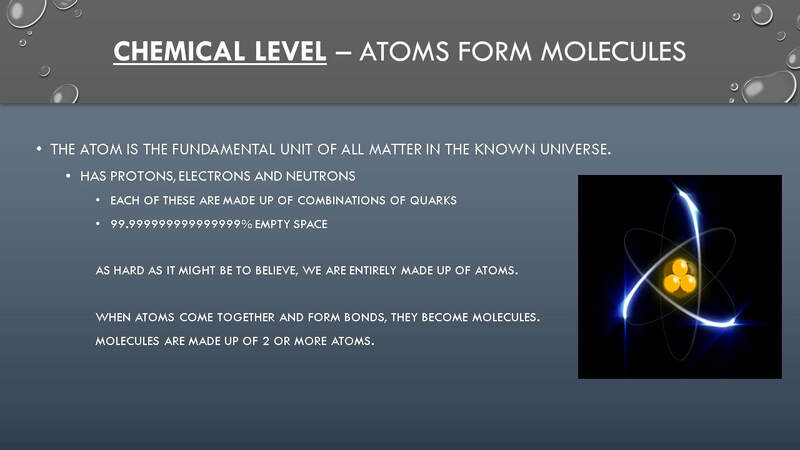 It is for this reason that we define the atom as the fundamental unit of matter. An atom is made up of subatomic particles. The nucleus (or center) of the atom is made up of one or more positively charged subatomic particles called protons and uncharged subatomic particles called neutrons. Almost all of the mass of the atom is located in the nucleus. Electrons "orbit" the nucleus of the atom. The electron(s) that are located on the outermost portion of the atom can participate in chemical reactions and can create bonds with other atoms. Carbon is the element that we believe is necessary for LIFE. It has 4 Valence electrons = 4 electrons in the outer shell = 4 electrons are available for bonding. Thus, carbon is able to make up to 4 strong bonds. carbon-based molecules can form a wide variety of shapes and long chains. Carbon has 4 electrons available to form bonds with other atoms. This is why you will always see four lines connecting a carbon atom to other atoms. Each line represents a BOND that is formed by a pair of shared electrons (one electron from carbon and one from another atom). Each line represent a bond made with 1 valence electron from each atom participating in the bond. For example, methane (CH4) is a small organic molecule made up of one Carbon atom bound to 4 Hydrogen atoms. All living things consist of organic molecules, centered around the element carbon. Organic molecules evolved before cells, perhaps as long as 4 billion years ago. Complex molecules can be formed by stringing carbon atoms together in a straight line or by connecting carbons together to form rings. Complex molecules can be formed by stringing carbon atoms together in a straight line or by connecting carbons together to form rings. The presence of nitrogen, oxygen, and other atoms adds variety to these carbon molecules. The first cells consisted of little more than an organic molecule such as RNA inside a lipid membrane. One cell (or group of cells), called the last universal common ancestor (LUCA), gave rise to all subsequent life on Earth. Photosynthesis evolved by 3 billion years ago and released oxygen into the atmosphere. Cellular respiration evolved after that to make use of the oxygen. MAKE SURE YOU KNOW THESE!! Lipids are a class of substances that are insoluble in water. They are hydrophobic (water-fearing). 1) Triglycerides - fats, oils, and waxes. 2) Phospholipids – makes up cell membranes. Will spontaneously form a membrane in water in the lab! Phospholipids are the major component of cell membranes. Phospholipids are structurally similar to fats, except that they contain only two fatty acids attached to glycerol instead of three. they consist of a hydrophillic (polar) head and 2 hydrophobic (non-polar) tails. Phospholipids spontaneously form a double-lipid bilayer (like the cell membrane) in water. Sugar molecules have the formula (CH2O) n , where n is any number from 3 to 8. For glucose, n is 6, and its formula is C6H12O6. The formula for fructose is also C6H12O6, but as you can see in Figure 1, the placement of the carbon atoms is different. DNA and RNA are built from single units (monomers) of nucleic acids. Nearly every dynamic function in your body depends on proteins. A protein is a polymer of small building blocks called amino acids. Of all of life’s molecules, proteins are structurally and functionally the most elaborate and varied. Proteins perform a vast array of functions within organisms, including catalyzing metabolic reactions, DNA replication, responding to stimuli, and transporting molecules from one location to another. ​ When an atom forms a bond with one or more other atoms, it is called a molecule. A molecule is made up of one or more atoms. Sometimes these molecules are small and simple. We can take oxygen as an example. 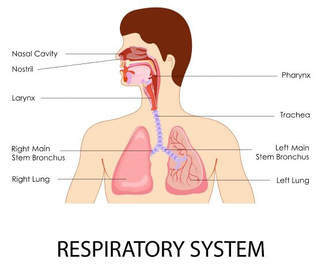 Oxygen is a gas that is made up of simply 2 oxygen molecules that are bound together (02). Some molecules consist of thousands of atoms (macromolecules) like DNA and proteins. The cell is the fundamental unit of life. All living things are made up of one or more cells. You came from just one cell! 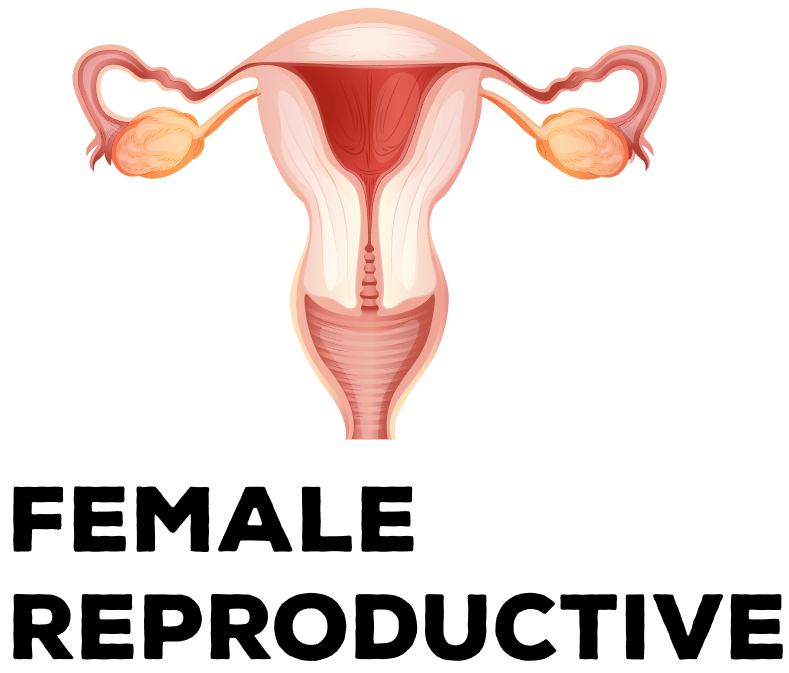 You started out as a zygote, which is a fertilized egg. From there you began to undergo rapid cellular division (see GIF) which lead to the exponential growth that made the cute, bouncing baby that was YOU! Pretty amazing! Cells and their surroundings are made up of molecules. It takes about 100 trillion atoms to make a typical cell. Proteins, lipids, carbohydrates and nucleic acids are arguably the 4 most important molecules for the cell, and for life in general. 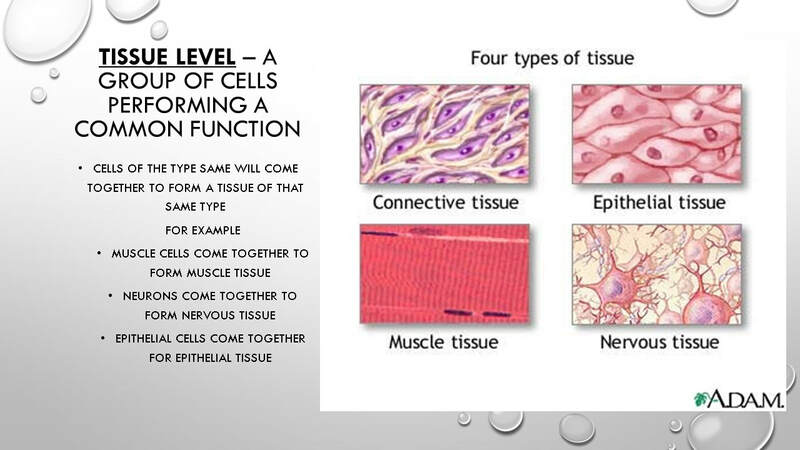 Cells of similar types come together to form tissues. 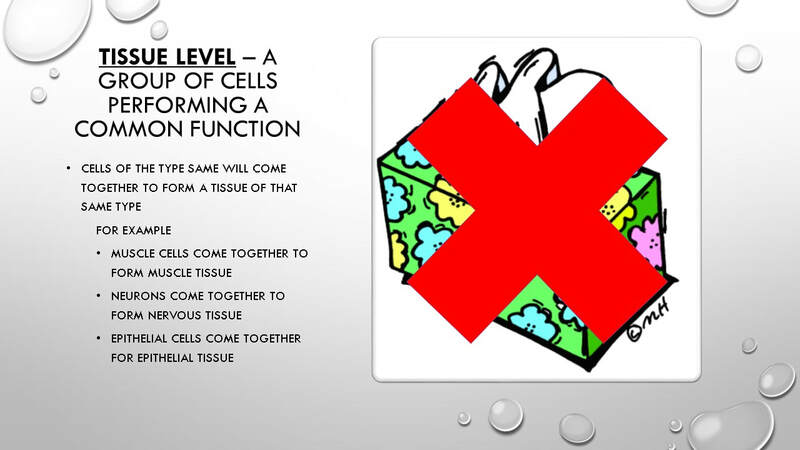 A TISSUE is a group of two or more cells (of similar function or origin) that come together to perform a common function. 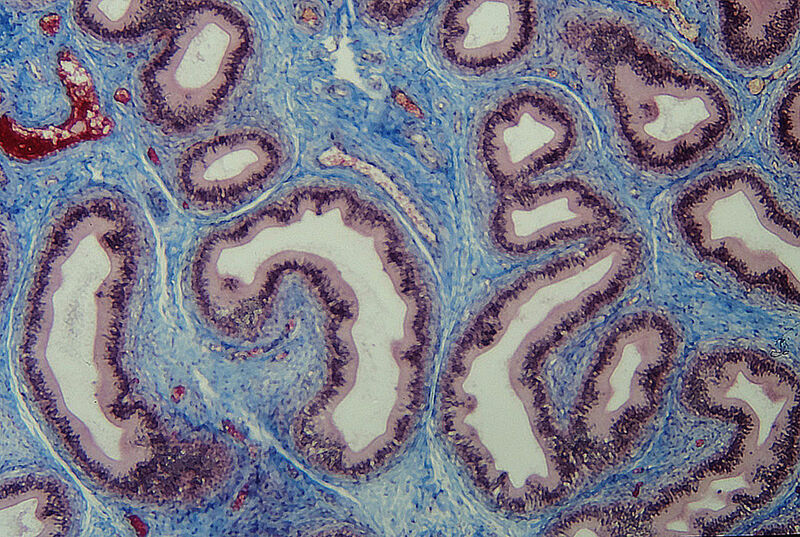 An organ is a discrete structure made up of more than 2 different tissue types that work together as a functional unit for the body. 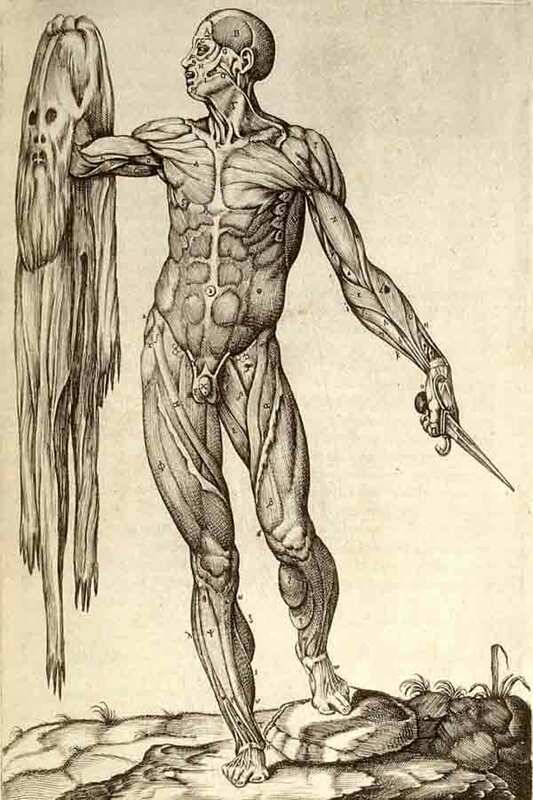 The major organs of the human body are listed and illustrated here. 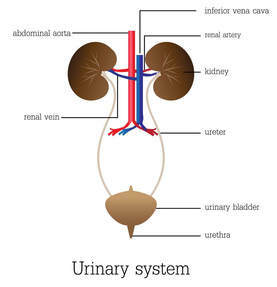 Organs that are found anywhere in the ventral cavity, can be referred to as visceral organs. The word "visceral" or "viscera" refers specifically to the internal organs that lie in the thoracic or abdominal regions of the body, such as the heart, lungs, liver, stomach or intestines. In a figurative sense, something "visceral" is felt "deep down." 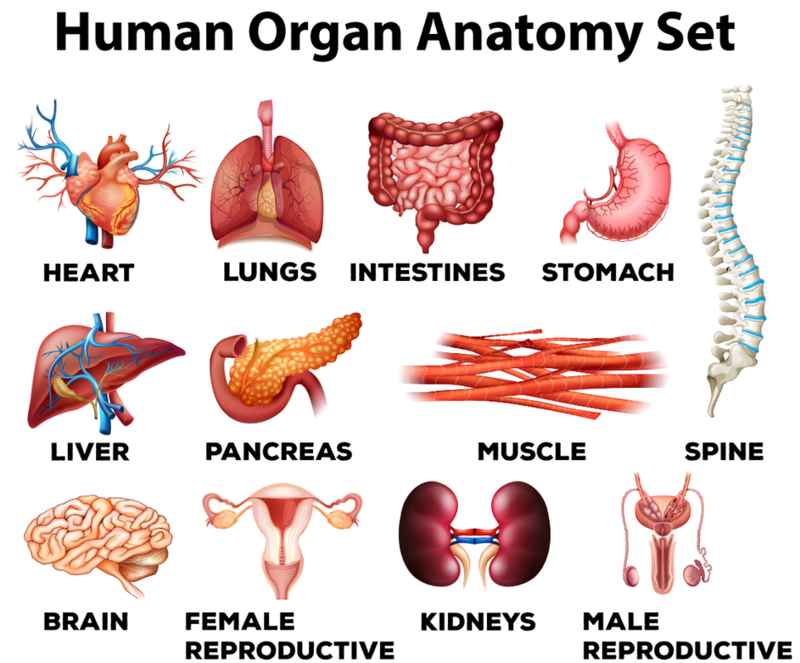 There 1 Organ Systems of the Human Body. 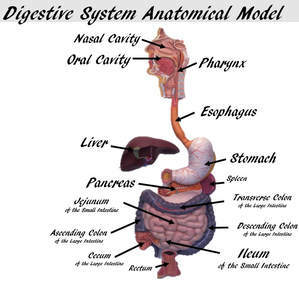 An organ system is a group of organs and associated structures that perform a specific function in the body. There are 11 organ systems. The circulatory system (or cardiovascular system) includes the heart, the blood and the blood vessels. 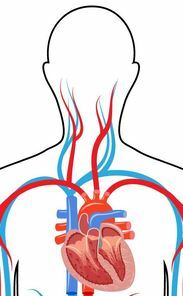 The function of the circulatory system is to move blood, nutrients, oxygen, carbon dioxide, and hormones, around the body. The skeletal system includes the 206 named bones of the body, as well as the tendons, ligaments and cartilage that actively support it. The function of the skeletal system is to allow for movement, provide structure, produce blood cells and to store calcium. The integumentary system includes the skin, the hair and the nails of the body. It is also considered an organ. In fact, the integumentary system is the body's largest organ. This system provides protection and helps regulate body temperature. 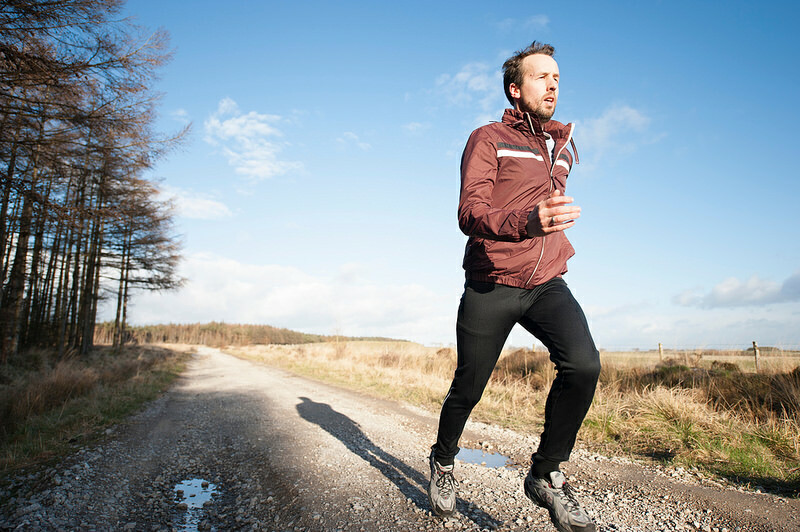 The immune system is the body's defense against disease. The immune system includes the includes, the thymus and the leukocytes (white blood cells) of the body. 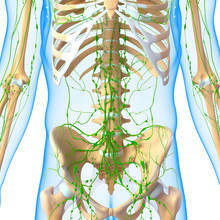 The lymphatic system includes lymph nodes, lymph ducts and lymph vessels, and also plays a role in the body's defenses. Its main job is to make is to make and move lymph, a clear fluid that contains white blood cells, which help the body fight infection. The lymphatic system also removes excess lymph fluid from bodily tissues, and returns it to the blood. 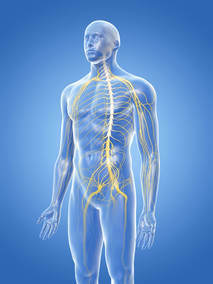 The nervous system includes the brain, the spinal cord, peripheral nerves and sensory receptors. The nervous system senses the conditions of our internal and our external environments. Responses and commands are sent from the brain and spinal cord to muscles of the body. Much of the function of the nervous system is not under conscious control. 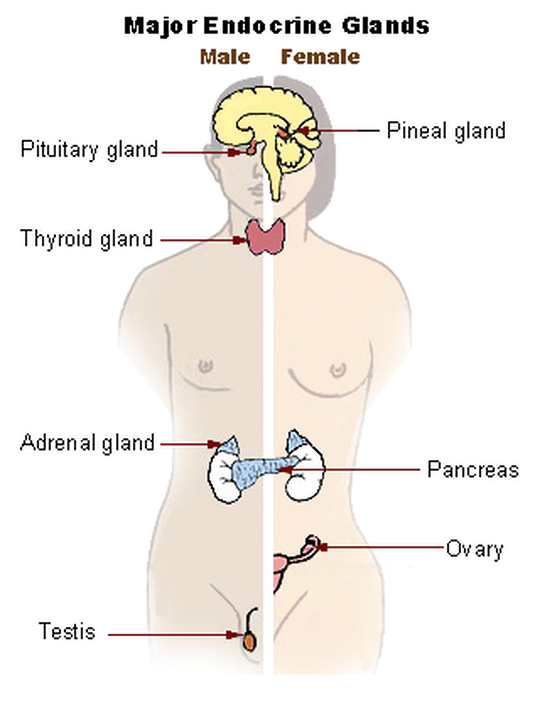 The endocrine system includes the eight major glands of the body that secrete hormones. 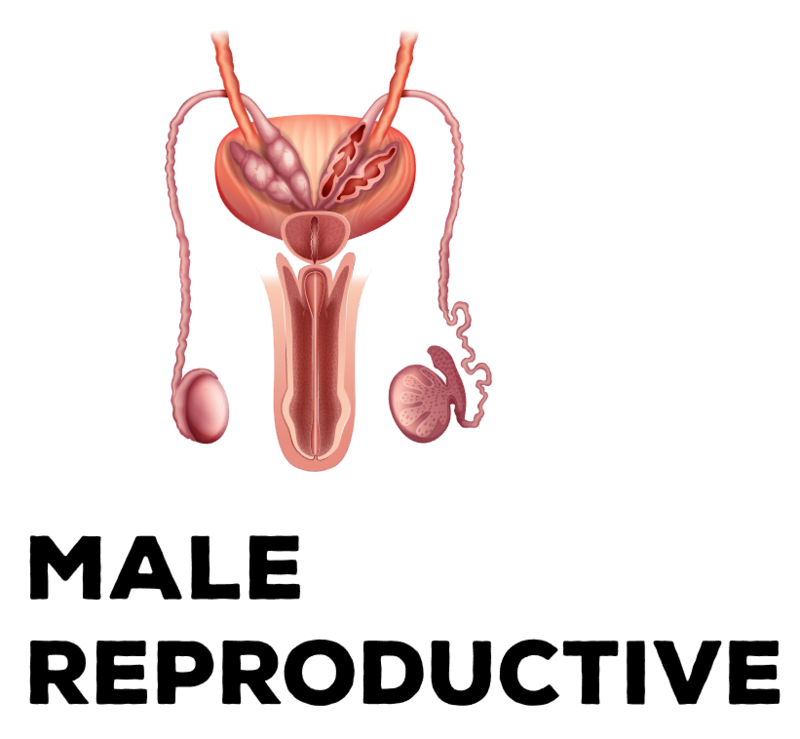 Hormones function to regulate many of the body's functions including growth, metabolism, and sexual reproduction. The muscular system includes all of the muscles in the body. This includes the skeletal muscles which allow us to move parts of our body at will, and the smooth muscles which moves substances through the body, and the cardiac muscle which lies exclusively in the heart. 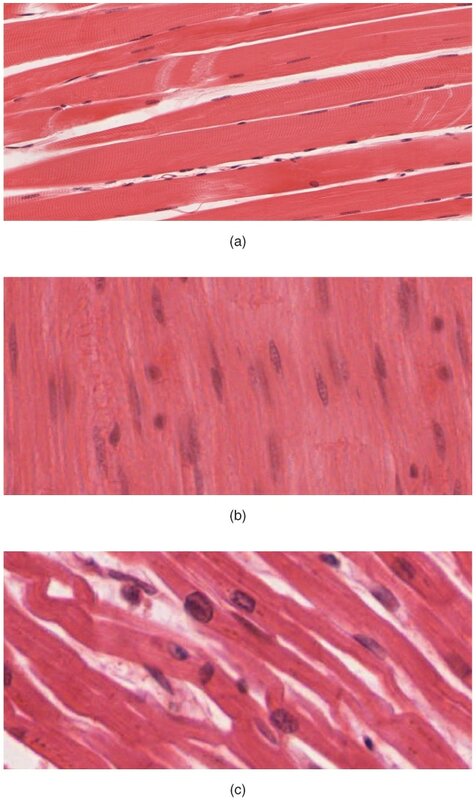 Smooth muscle and cardiac muscle are involuntary and are not under conscious control. The level of the organism looks at how all of the anatomical structure of body work together to provide all of the necessary function for life.